Bitcoin has just suffered one of its most dramatic falls in the entire year, falling a whole 45% over the last four days. Bitcoin was trading at $19,752 on 19th December. As of writing, it trades at just 11,069. The fall has been particularly pronounced today — the currency has fallen a whole 25% in the last 24 hours. 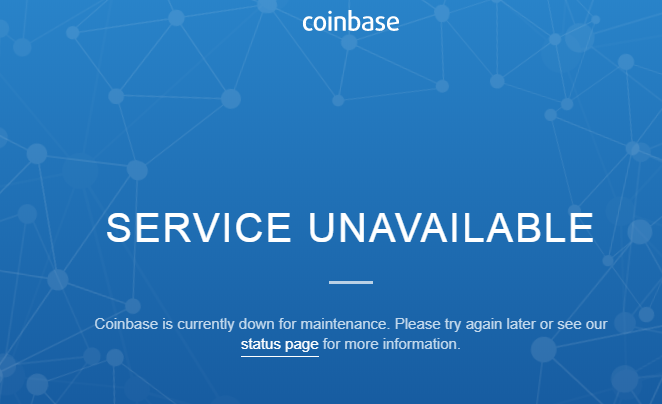 Bitcoin’s infrastructure appears to be crumbling under the strain — CoinBase, the biggest bitcoin exchange, is currently down. The current fall isn’t just impacting botcoin, but also other cryptocurrencies — Litecoin, a popular bitcoin alternative, is also down 40%. Ethereum is down 28% today at the time of writing. Bitcoin loyalists are used to wild swings in its value, but this fall will worry even the most hardened bitcoin investor. Earlier this year, bitcoin had fallen back to $3000 levels after breaching $5000, causing some panic , but had soon recovered. And it hadn’t just managed to regain its value — it had then gone on an extraordinary rally, reaching $19,000 over the next two months. Several developments have occurred in the space since then. Trading has begun in Bitcoin Futures, allowing speculators to bet on the price of bitcoin, and even bet against it. There has been some positive news too — Goldman Sachs is reportedly considering setting up a crypto trading desk. But bitcoin’s price has never been in concert with real-world events. Bitcoin’s well known to be an impractical replacement for currency — transactions are expensive, and take very long to execute. Transactions are also horrendously inefficient — the power required to perform a single bitcoin transaction can power an entire home for a week. And bitcoin’s claims to being a store of value are also suspect — with hacks and thefts major crypto exchanges reported regularly, they’re hardly a secure way to store money. Even after its fall, though, bitcoin’s up an astonishing 1000% for the year. Even with all its shortcomings, bitcoin has outperformed every single class as an investment vehicle. But as the recent rout shows, it remains to be seen how long the party will last.